Your pool has been lowered, sculpted and smoothed. The pipes and electrics have been connected. What comes next? The fun part. Choosing the finishing touches for your pool and outdoor area is when your vision really starts to come to life. Pool pavers come in a variety of colours, shapes and sizes so it’s important to do some research before making your decision. Pool pavers are popular as they create a sleek, minimalist look that is very now. Choose from a variety of a pavers including sandstone, bluestone, granite and limestone. There are also quartzite, cobblestone and travertine pavers depending on the look you are going for. Most of these types of paving stones are available in a range of sizes and coping options. As well as looking good, pavers are durable. They are resistant to salt and chlorine so they will withstand the harsh, wet pool environment. At Just Pave, we use high quality sealers to maximise the chlorine and salt resistance of our pavers. There are also a number of nonslip styles – ask you local paving expert for advice. 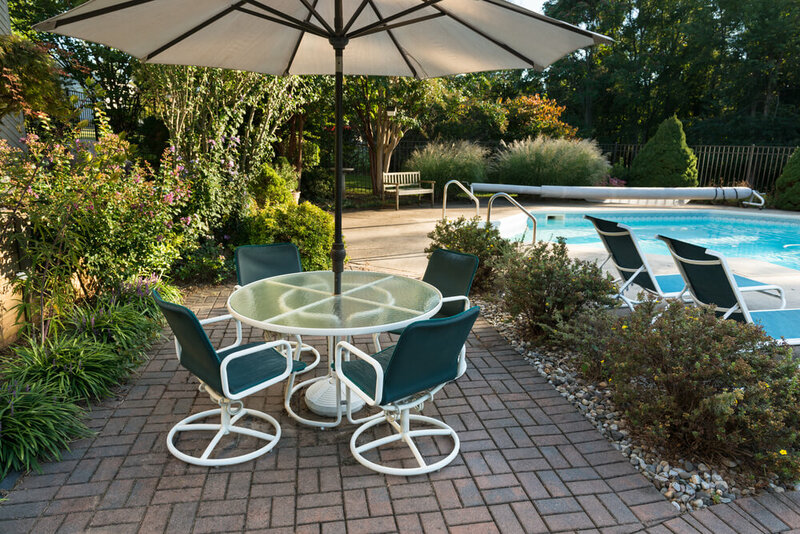 A pool isn’t complete without a patio or a deck to complement your new outdoor lifestyle. This is also the time to think about plants, rocks and water features. Just Pave can take care of all your Pool Landscaping needs. We are pool paving experts, and with over 18 years of industry experience, we can arrange a variety of other services through our connections in Launceston. Contact Us to find out more about our Pool Landscaping Service or to ask about our pool pavers. We offer a free consultation service where we can talk you through different design options as well as provide a quote free of charge.